The Florida Highway Patrol has located and cited the driver of a pickup truck who hit an 80-year-old toll worker Sunday afternoon on the Sunshine Skyway Bridge. 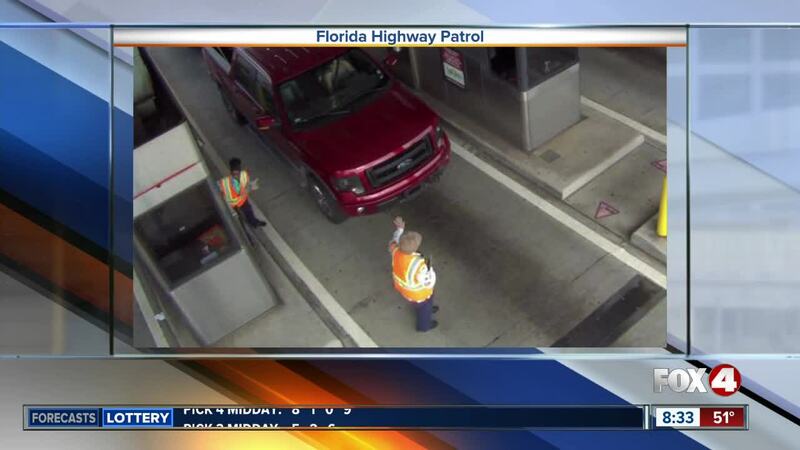 PINELLAS COUNTY, Fla. — The Florida Highway Patrol has located and cited the driver of a pickup truck who hit an 80-year-old toll worker Sunday afternoon on the Sunshine Skyway Bridge. Brittnie Ann Kenyon, 26, of Cape Coral, was cited for driving while license suspended and failing to provide information at the crash scene, according to Florida Highway Patrol. Troopers say around 1:05 p.m., a red 2013 Ford F-150 going southbound on I-275 entered toll plaza lane 3 on the bridge. Authorities say toll workers instructed Kenyon to stop so one of their co-workers could use the pedestrian crosswalk. The driver instead continued forward and hit 80-year-old Elaine Wyman of Palm Harbor. Paramedics transported Wyman to St. Anthony's Hospital for treatment of minor injuries. FHP reports Kenyon initially stopped after hitting Wyman before driving off. Story Developing, refresh for updates. Stay with Fox 4 for the latest.